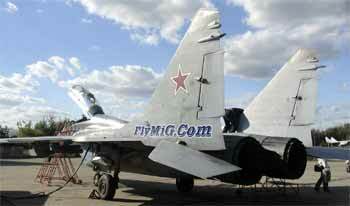 FlyMiG.Com Company was founded by pilots and aircraft specialists to share the joy of flying with people like yourself! We do not allow pushy sales pitches, that's our policy! We could only describe our services, tell you what to expect from your trip to Moscow and make sure all your requests are fulfilled! We are The First Company that was officially licensed at Zhukovsky to officially request the joy ride flights! We do not spend your money on promotion as other Companies while maintaining the same exposure to the public and rated much higher than any of them among people who flew with us and them. All our staff is either former pilots or professionals related to aviation and all of us love what we do while trying to pass our passion to people who will be flying with us. Our prices are the lowest in the Industry while delivering the best services in Moscow! We have proprietary order processing software managed by real people that was developed to ensure error-free and timely order processing. As a result - we did not have to say "we are sorry" to our clients in 2005. In fact we are not allowed to use those words - if service is ordered - it is delivered! You will be flying exactly the same Jets in Moscow as you would with any other company. Our services became very popular in 2004 - we had to triple our staff in Moscow! At your service in Russia highly trained professionals will guide you while in Moscow. Their goal is to make your trip to Russia the most memorable! We are the only Company that lets you know your final flight prices online. We have nothing to hide - price you see is the price you pay. Flying Fighter Jets at Zhukovsky, Zero-G IL-76MDK in Start City and Moscow Military Tours is the only job we do! We dedicate our full attention to that objective making sure job is done right every time! Our Marketing Strategy rely on Modern Technology and our 24+ years of daily hands-on experience in Internet Promotion and Marketing. At the same time most, if not all of our competitors paying daily for their promotion on Google and other Search Engines. You are the person who ALWAYS paying for the Marketing, Advertisement and other Promotions of the product you buy! We were called names as Internet hackers sitting somewhere in Russia many times. To the surprise of our pilots - they sometimes see our real managers in USA! We are American Corporation officially licensed in the Commonwealth of Pennsylvania. We have a real office (believe it or not) and sometimes we even see each other in that office. Mostly we communicate with each-other VIA wireless units and our system is keeping all our officers up-to-date on all aspects of the situation with each and every flight order. In a year 2005 we have shot well over 50,000 digital images and over 200 hours of ground video (replacing in a process 6 digital video cameras and one Canon Digital SLR camera). Over 110 pilots flew with us averaging 2.0239189 flights per pilot. We have upgraded our USA digital studio with 3 new Apple PowerMacs G5TM workstations, one Apple Xserve G5TM and Apple Xserve RAIDTM to accommodate our video processing and database needs. Moscow office received new Apple iMac G5TM for our video and photo capturing procedures. - at FlyMiG.Com we use only UNIX based computer equipment to ensure highest quality communications and to work in a SPAM and Virus free environment.